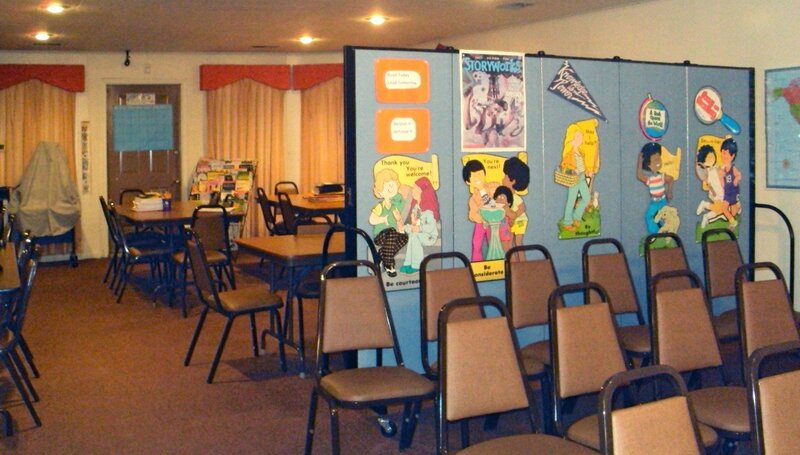 Uses: Bulletin Board, Church, Classroom Partitions, Fellowship Hall, Religious, Sunday School Colors: Blue Lengths: 5 panel 9'-5" Heights: 6'-0"
The Family Life AOG Church Ruleville, Mississippi needed additional classrooms for Sunday School and weekly religious education classes. With a limited budget, construction was not a viable option. 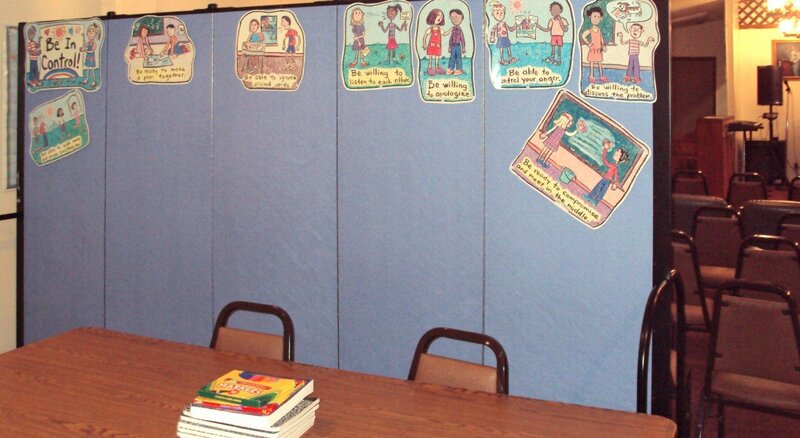 A member of the church had recently seen a neighboring church use Screenflex Room Dividers to create additional classrooms. The staff at the Family Life AOG Church worked with our sales staff to obtain a free room plan to ensure they were ordering the proper sized room dividers for their space. They were so pleased with their room dividers they sent us this picture along with a huge thank you! .Sturdy, durable and long-lasting, Screenflex portable walls are available in 36 heights and lengths and 38 color choices. Units ship fully assembled and ready to use.